Is Sitejet really fit you? This Sitejet review will help you to know whether Its CMS suit your ideas and requirements. 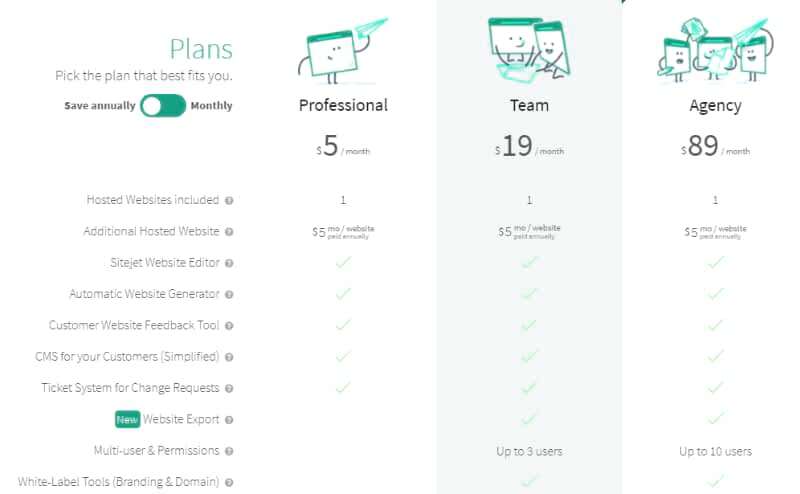 In this post you will see -> Sitejet Features, Templates, functions, online tools, Designs, Loading Speed, Website Hosting, Ease of use, eCommerce, Support, Security, Users Opinion, Web Masters Ranks, Our final review and everything with their pros & cons. Sitejet officially launched in 2018 & very new to the website building industry. So you can expect the latest technologies & functions. They reimagined and content management systems and website builders in the same platform. 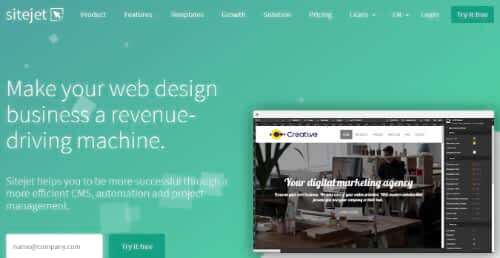 Sitejet built for both web design agencies and individuals. Agencies can create, manage and deliver multiple websites to their clients very systematically. Individuals can create their own website without any skill. In this post, I reviewed Sitejet by Both Generally & Technically with very easy terms. I also inserted proofs for all tests. I extracted from real data analysis techniques and various trusted sources with its link. 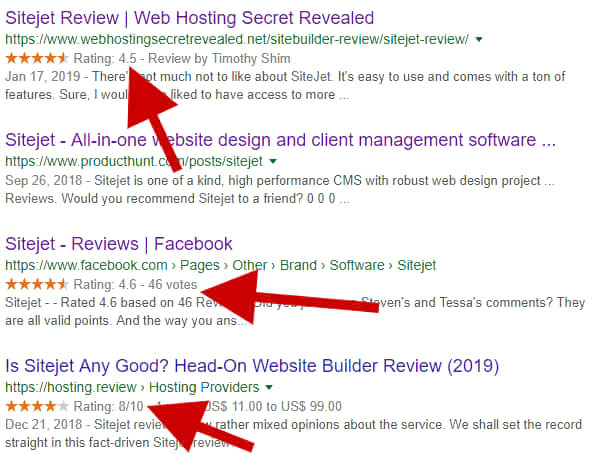 This Sitejet Review Revealed many hidden things..! Visit Sitejet & Try For Free! Now let’s see some interesting things & facts about Sitejet Compan, website builder, online tools, user experience and everything. Let;s see how many people are visiting Sitejet website per month. Sitejet Customer Satisfaction Level – Are Its Users Leaving Or Continuing? This is the most important thing you should know about it. We already know Sitejt total active users, but how many people are visiting again and again? 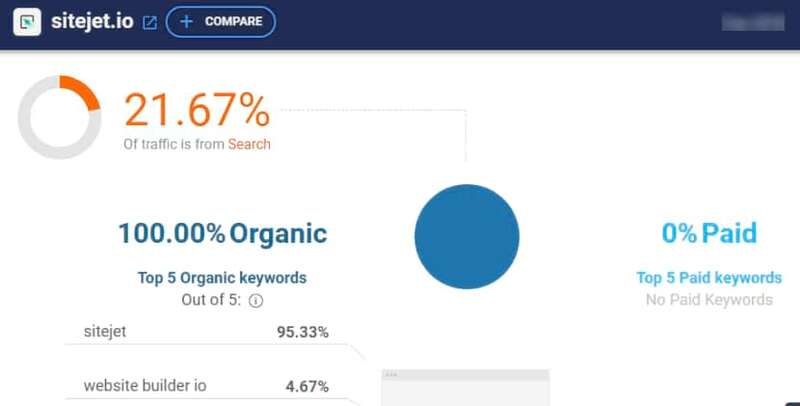 Let’s see how many visitors are coming from Ads and how many people directly searching Sitejet on Google. 0% Ads. The traffic is not coming from Ads but coming from trusted sources and search engines. This is a good sign. Is Sitejet got a good presence online? 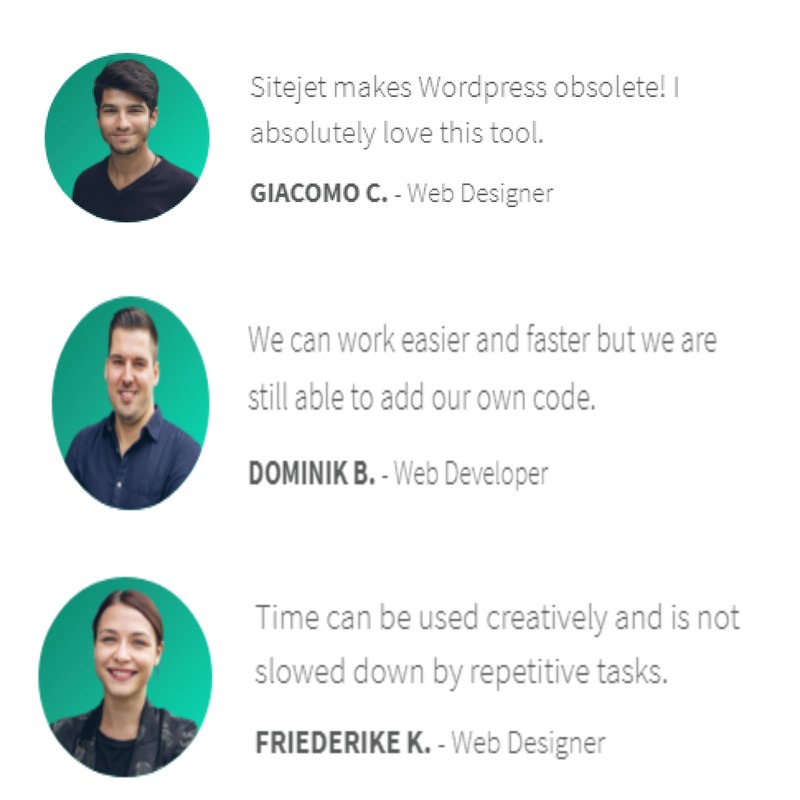 Let’s see how other people reviewed Sitejet. 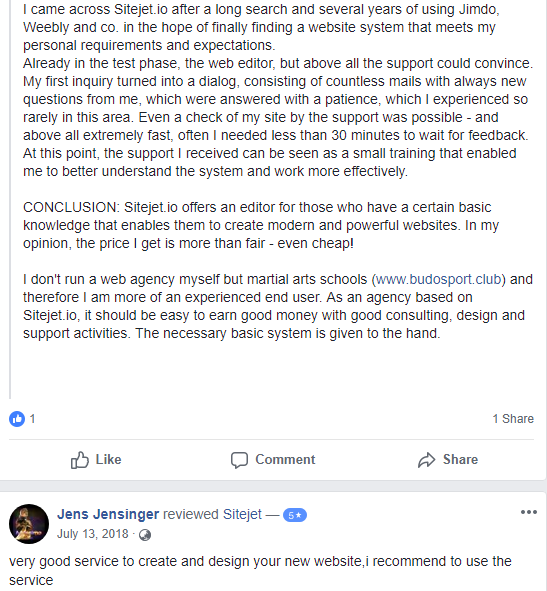 Here is an example of Sitejet user review. Conclusion: Sitejet is a good company. Sitejet Templates – Does Its Themes & Designs Good Enough? 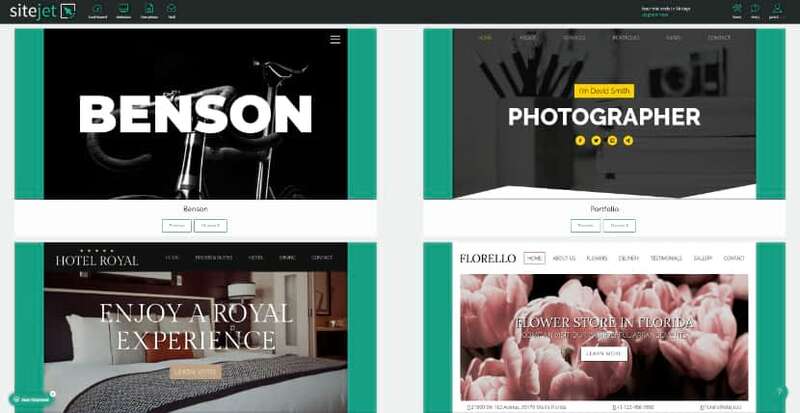 Over 100’s website templates are available and all templates are free..!! But really all Templates are developed by Experts? how to know these templates are good enough? I picked a template and published the website. Then checked the website speed. Here is the result. 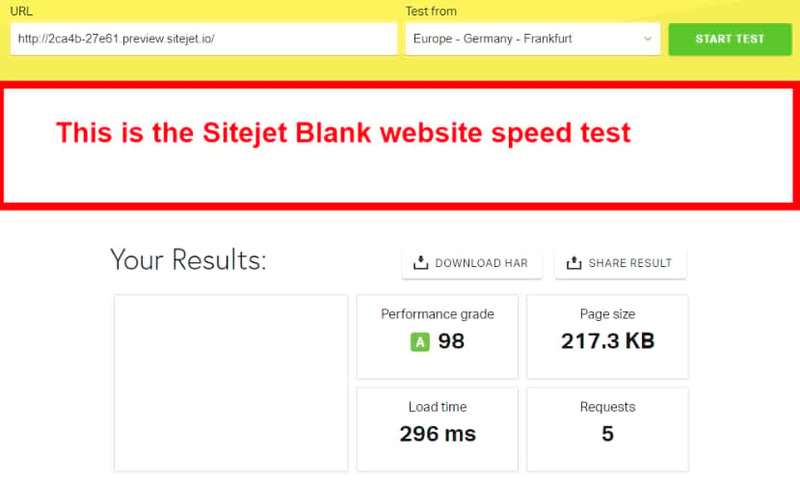 Sitejet website speed is really impressive. It got 95/100. Google speed score showing the green circle. Sitejet templates are developed by experts and they are excellent on the backend. So your website will load faster. Let’s check the mobile speed. 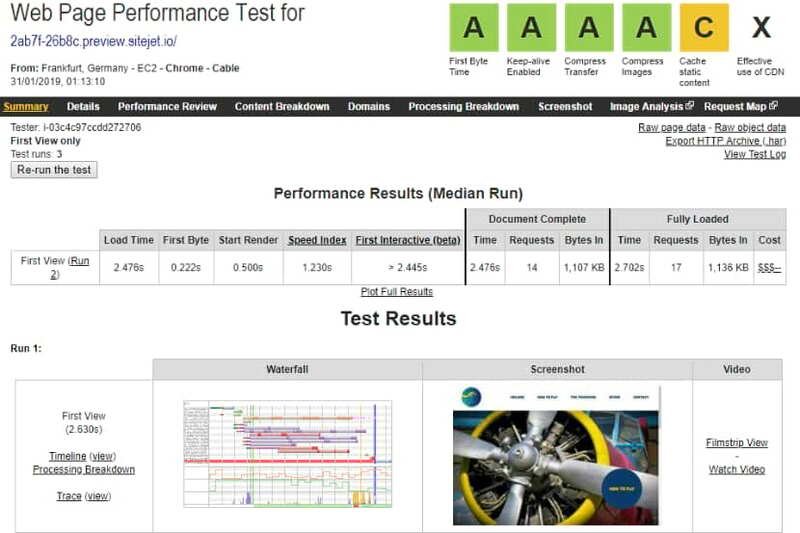 Sitejet mobile speed also got good marks. It scored 82%. Are Sitejet Templates Uses The Latest Or Out-Dated Technology? Let’s see the template designs. If you look at the above template slowly, you will notice the colors are smoothly contrasted to our eye. In a single look, you can grasp all the elements on that page. Your eye can distinguish different items very easily. Even you see it on any retina screen like iPhone display, it will not get slightly blur or unattractive. It can adapt to any high-resolution screen. This is a retina ready design. Users spend more time on retina-ready pages than non-retina ready pages. Many business owners are spending thousands of dollars to make retina ready design to get more conversations & profit. But Sitejet offers free retina-ready templates for you..! Code: How well coded Sitejet templates? See here I made a test. I clicked a Sitejet template randomly. Then I tested whether it uses SEO friendly structural data markup. 0 error and o warnings. Most of the drag & drop website creation platform companies don’t care its backend processes. But Sitejet templates are developed by high professionals & you can’t find any errors. Also, it uses the latest data markup language. This structure is Google friendly. This means the Template backend is good. This is a Blank Sitejet Template Loading Speed. This is a Designed Sitejet Template Loading Speed. 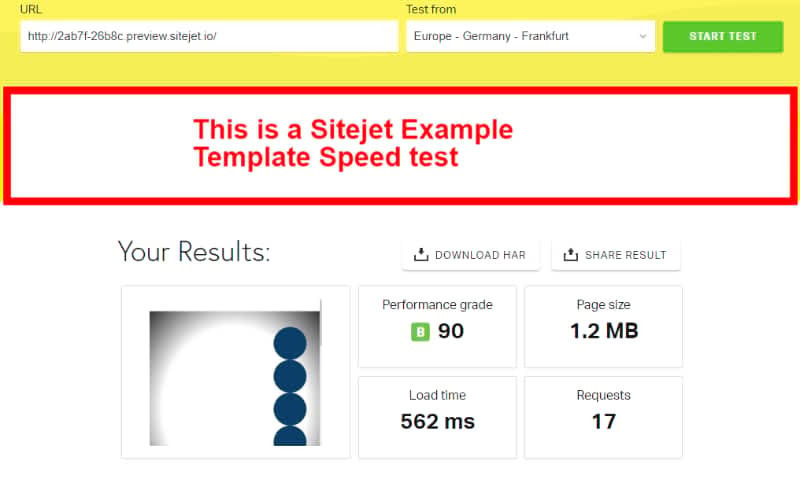 Designed Sitejet Template website Speed Test result. The Designed Template Is Nearly 6 times the size of the blank template. The Page size difference is 6 times more than the blank template, But loading time is NOT 6X..!! But Surprisingly it is very close to the blank template..!!!! This means Sitejet Templates are made with high standard. These templates are coded with high accuracy. I really impressed. I put 5/5 Star. You can Change Your Designs & Themes even after the website creation. Sitejet provides you 100’s of Design. You can change the color, Theme, View & Layouts. 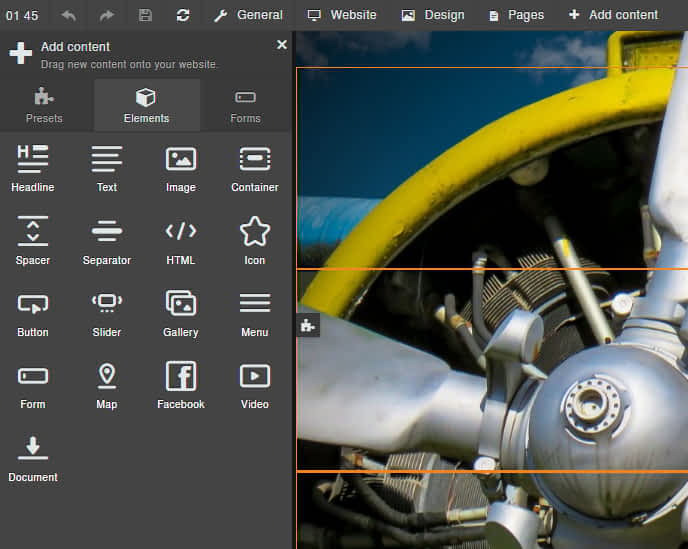 Sitejet included all basic website elements like headline text, image, container, spacer, separator, HTML, icon, button, slider, gallery, menu, form, map, Facebook, video, documents. Forms like input, number, email, phone, textarea, checkbox, radio, buttons, drop down, date, form button, file, upload and captcha. 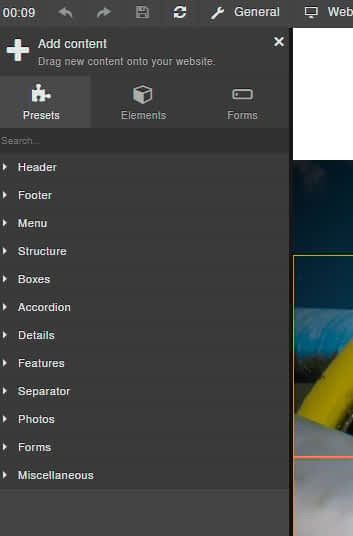 You can just add presets like header, footer, menu, structure, Boxes, according, details, features, operator, photos, forms, miscellaneous etc. You can create unlimited pages as you want. In the pages, there are so many settings like page name, SEO, URL section etc. You can select noindex if you don’t want to get your page on Google automatically. web pages get index on Google. You no need to do anything extra work to get online. 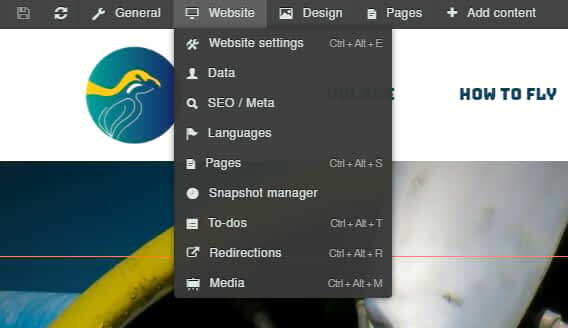 Sitejet settings will automatically index all your web pages on Google. 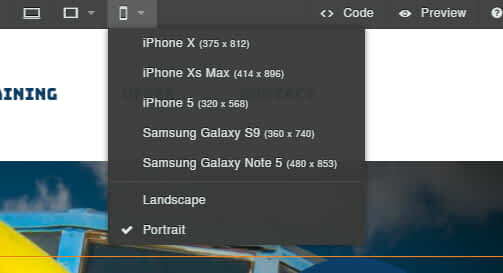 One of the cool features of site Jet is you can wave your website on iPhone X, iPhone XS Max, iPhone 5S, Samsung Galaxy S9, Samsung Galaxy Note 5, and you can see it as landscape or portrait while you are editing the website. This is the one of the best features. You can change the mobile editor easily. You can see iPod iPad Pro Galaxy Tab 10 views also. 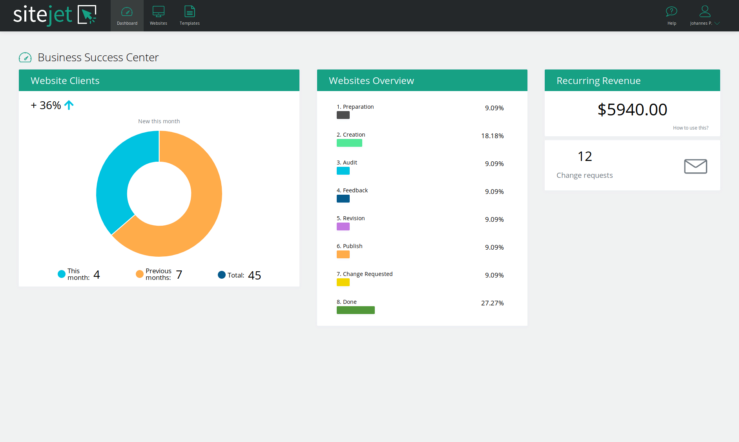 In the dashboard, you can manage multiple websites on the same page. You will see the list of the websites and you will see all the details of that website. For example, you can set preparation mode, creation, audit, feedback, revision, published, change requested or Done. 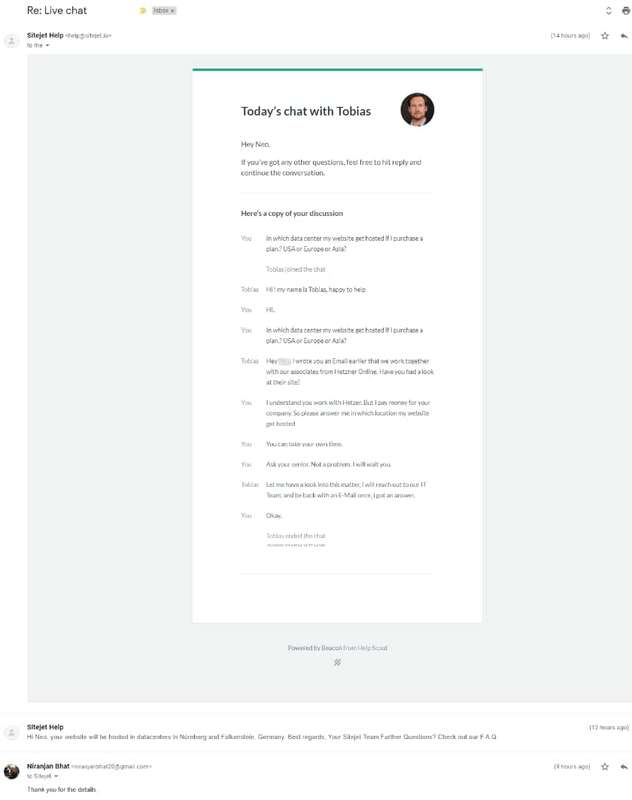 You can see the to do list, messages, edit website, customer view and more. In the customer view, there are so many options like start, customer data, image, file manager, wishes, follow customer and more. Sitejet provides you a cool business success center tab in the dashboard. Sitejet Web Hosting – Does It Runs Your Website In A Healthy Way? Sitejet offers you unlimited storage from the basic plan. This is one of the biggest advantages. Is It Runs Your Website Smoothly? What about Uptime? :- All Sitejet websites run in a healthy way. In our test, we found minimum downtime & its uptime is 99.8%..! Sitejet Security – Will It Able To Protect Your Debit/Credit Cards & Websites From Black Hat Hackers, Viruses & Malware? :-Let’s check its vulnerability test results. Sitejet security test result showed it is safe and protected by powerful antivirus. 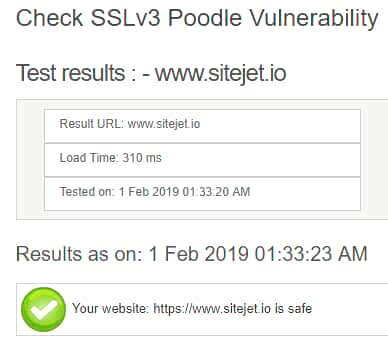 Sitejet can protect your website & information. Domain – You will get a free domain name or you can connect to your own domain name. Do You Get Professional or Business Emails? :- Yes, You can register unlimited business emails. Backup & Restore – Yes. You can restore your website unlimited times for free. Sitejet SEO – (Search Engine Optimization) – Will It Index Your Website On Google Effectively?-Yes. 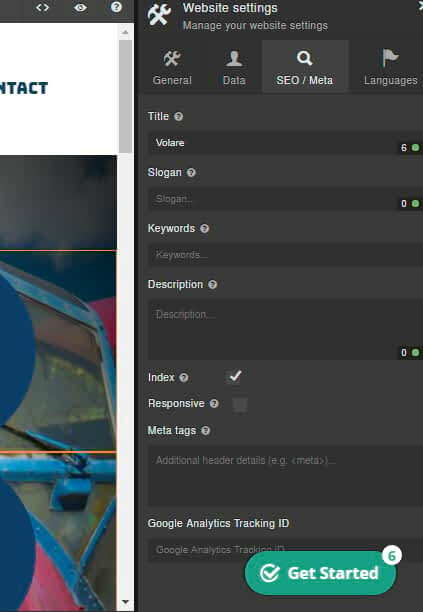 Sitejet will index your website in a systematic manner. Website Speed – Does All Sitejet Users Website Loading Speed Is Good Or Most Of The Time Their Website Getting Stuck? Sitejet got A rank. Its first-byte-time is really good. Loads faster than the internet average. Sitejet Support – How Good Their customer Care & Help? 24X7 support. You can chat and all chatted information automatically send to your email for future reference. Here is an example of the Sitejet support chat. Sitejet offers you 3 different plans. The pricing shows Sitejet is for both individuals and agencies. Sitejet Final Review By Web Designers, Masters & Us. Conclusion: Sitejet is a new type of website creation platform. They re-imagined the CMS’s like WordPress. 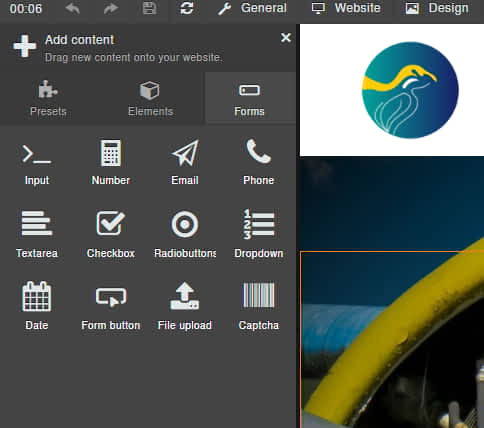 Sitejet combined CMS’s features and easy website builder features in one platform. Sitejet is for both individuals and agencies. The dashborad is really cool. I liked the way they introduced to manage multiple website in one page.